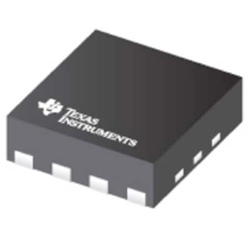 Texas Instruments OPA855 Decompensated Transimpedance Amplifiers (TIA) provide a wideband and low-noise with bipolar inputs perfect for wideband transimpedance and voltage amplifier applications. The device can be configured as a transimpedance amplifier. When used as a TIA, the 8GHz gain bandwidth product allows high closed-loop bandwidths at transimpedance gains of up to tens of kOhms. The device operates in optical ToF systems where it is used with time-to-digital converters. The TDC7201, a Time-to-Digital Converter is such a device. The device can drive a high-speed ADC in high-resolution LIDAR systems when using a differential output amplifier such as the THS4541 or LMH5401. The device has multiple uses that include laser distance measurement, CCD output buffer, high-speed buffer, OTDR, high-speed active filter, 3D scanner, silicon photomultiplier (SiPM) buffer amplifier, and photomultiplier tube post amplifier.